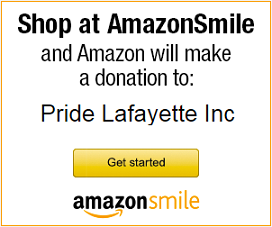 Community Center – Pride Lafayette, Inc. In April 2003, we opened a Community Center to serve as a home base for Pride Lafayette and to provide a place where everyone in the local LGBTA community can come together. Our first location was a donated space given to us by a kind community member. In November 2004, we moved into a larger facility with multiple meeting rooms and a library. In June 2009, we moved to our current location at 640 Main in Downtown Lafayette.